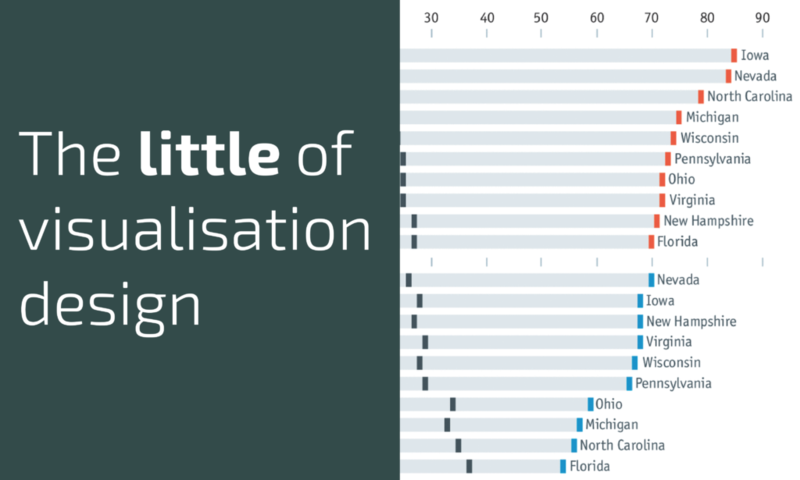 The 'little' of this next design concerns the sensible positioning of categorical labels. 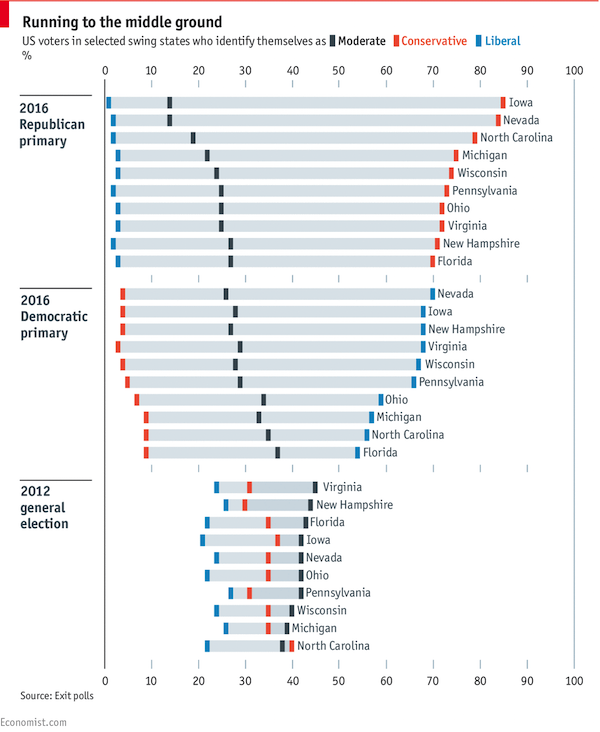 This Daily Chart, by the Economist's data team, offers a view of the identified political persuasion of people living in selected swing states of America. The chart is a variation of the connected dot plot, with a separate row for each state. Typically, charts like this would have categorical value labels right-aligned to the left of the vertical axis. However, in this case, the labels are positioned with immediate proximity just to the right of the highest value - which is the value used to order the categories vertically. This approach aids readability, making it just that little bit more efficient to perceive the values and their associated categories. These products are baby food, clothing, there are lotions and shampoos. Many parents trying to protect their babies as much as possible damage, a little training can go a long way. some organic baby products you can use in this article will help to explain the reason why it is very important to pass today.